The Shine & Show is for every car that comes to Mini Meet West. It’s not a Concours for every-bolt-correct cars, but rather a People’s Choice vote for cars in each of the classes. A car that’s shown In-Progress will be just as interesting to Mini folks as a daily driver or a just-completed new paint job. This is also a chance for everyone to see all the cars that have come to the event, meet all the fellow attendees, kick tires, tell stories, laugh at funny license plates, and then be ready for the Group Photo, which will be immediately after the Shine & Show. It’s free and open to all, so don’t miss it. Putting more Fun into Funkhana. 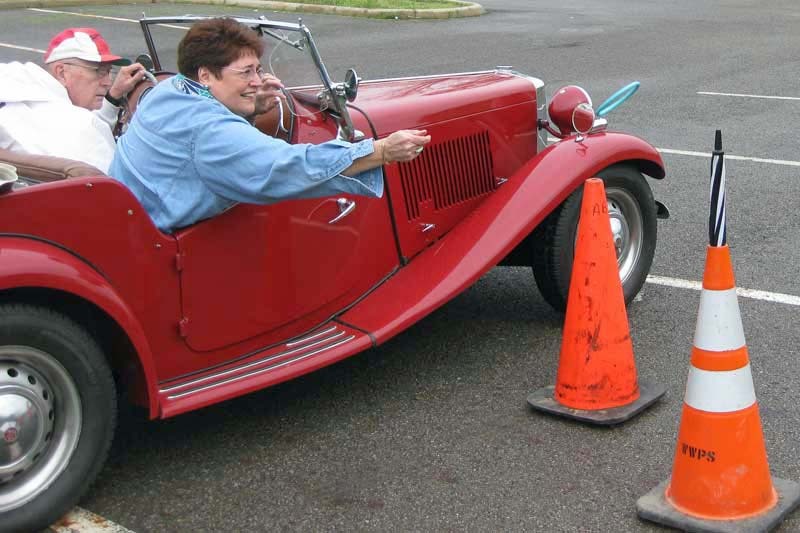 Not just another autocross with a few distracting activities slowing you down. It’s a jolly good test of drivers’ and navigators’ skill and sense of humor navigating our special course of wacky activities based on unique aspects of Pacific Northwest life. Meet the challenging tasks of saving the environment, driving like a native, lampooning the lifestyle, and more. Scoring is a combination of elapsed time, and accuracy in performing the tasks. There are separate classes, with awards, for different styles of Minis. It is a low-speed, light-hearted competition. 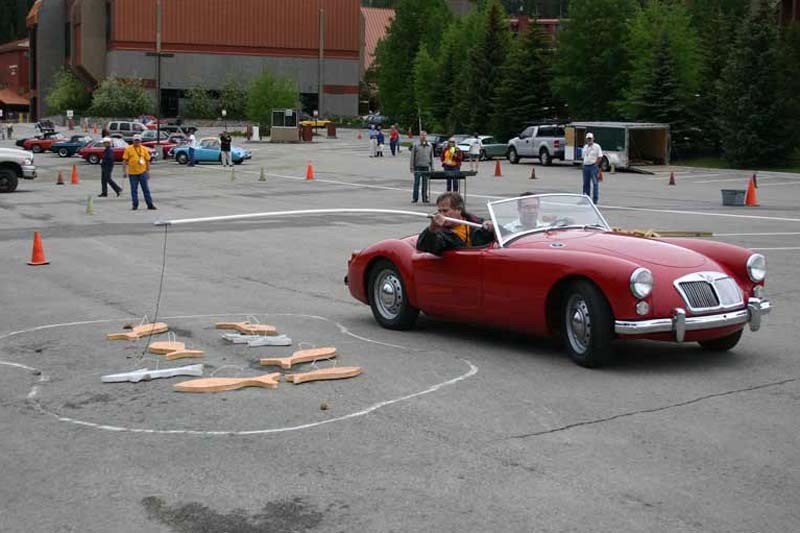 Each team, composed of a driver and passenger, must complete tasks — centered around a theme — that involve car handling, teamwork and especially a sense of humor. The event is good-natured, and not hard on the cars. The team might be squeezing into a tight parking spot, balancing on a huge teeter-totter, playing ring toss with a fan belt, or preparing a faux meal of fish and chips (some or none of these specific activities may be part of MMW2013 Great Northwest Funkhana). By including an element of luck, everyone has a good chance of winning. * If you are not familiar with “Funkhana”, think of it as a parking lot game for sports cars. Oregon Mini Society and Mini Meet West have no affiliation with these attractions and is not responsible for anything related to these attractions.